He received an OBE in 2010, is a Deputy Lieutenant of the County of Norfolk, served as Sheriff of Norwich (2009-10), and is a Fellow of the British Academy. He holds an MA in Geography from the University of Edinburgh, an MS in Water Resources Engineering from Cornell University, and a PhD in Geography from the University of Cambridge. In June 2013, he was awarded the honour of Distinguished Friend of Oxford. 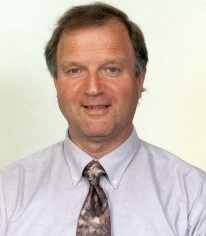 He has edited a number of key books on the institutional aspects of global environmental change, policy and practice, led two international research projects on the transition to sustainability in the European Union (1995-2002) and edited two editions of the text book, Environmental Science for Environmental Management. He edited (with Tim Lenton) a book on Addressing Tipping Points for Oxford University Press and the British Academy, published in August 2013. Professor O’Riordan is actively involved in research addressing the themes associated with better governance for sustainability. He is also active in the evolution of sustainability science partnerships. His direct work relates to designing future coastlines in East Anglia in England and in Portugal, so that they are ready for sea level rise and the creation of sound economies and societies for a sustainable future. He served as a core member of the Prince of Wales' seminar on Business and the Environment. Through his Associate Fellow position with the Cambridge Institute on Sustainability Leadership (CISL), he has many contacts with the business world. He served as Special Advisor to the House of Commons Environment Audit Committee and also as Special Advisor to the CISL Collaboratory on sustainable water stewardship. He chairs the UK Sustainability Knowledge Network which is a web-based association of active researchers all over the UK. His other research interests cover interdisciplinary approaches to pursuing the transition to sustainability, risk perception and communication, business and social virtue. Tim O’Riordan plays classical double bass in a Norwich orchestra, which he has chaired for over 25 years.